Let the collections at Musee d'Orsay and Louvre Museum capture your imagination. Get some historical perspective at Montmartre and Basilica du Sacre-Coeur de Montmartre. Take a break from Paris with a short trip to Palace of Versailles in Versailles, about 48 minutes away. 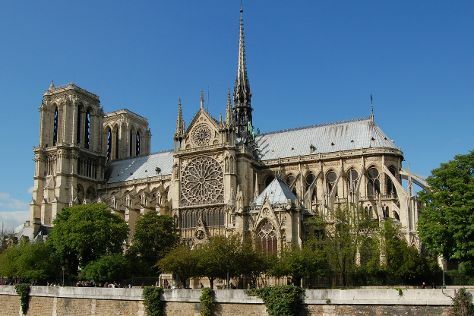 Next up on the itinerary: steep yourself in history at Cathédrale Notre-Dame de Paris, head off the coast to Île de la Cité, take a stroll through Le Marais, and make a trip to Arc de Triomphe. For reviews, ratings, and other tourist information, go to the Paris trip itinerary maker website . Expect a daytime high around 29°C in August, and nighttime lows around 16°C. Wrap up your sightseeing on the 18th (Sat) early enough to travel back home.